21 July : Ajmal Kasab on Tuesday said his mandate was to open fire indiscriminately at CST and take people “hostage” on the upper floor, as the special judge for the Mumbai attack trial weighed three options on how to treat the confession of the lone surviving gunman pleading guilty. Special Judge M L Tahilyani deferred a decision on Kasab’s dramatic confession on Monday admitting to his involvement in the terror attack and seeking a quick verdict. The judge adjourned the proceedings till tomorrow after the prosecution sought time to file its reply. Continuing his statement, 22-year-old Kasab said he and his slain partner Abu Ismail were directed to start firing indiscriminately at Chhatrapati Shivaji Terminal (CST, take hostages and attack policemen trying to rescue the victims. “Humko kaha gaya tha ki CST main logon ko bandhi banana hai aur unko pehle male pe leke jaana hai..(We were told to take hostages at CST and take them to the first floor),” Kasab told the court. The judge said Kasab’s statement before the court was “broadly speaking not a confession” but an admission of guilt. The court would need to verify whether Kasab was genuinely pleading his guilt as there were many charges against him, the judge said, adding, the court could then accept his statement, reject it or accept the plea and continue with the trial. Nikam and Kasab’s lawyer Abbas Kazmi said the court had three options. Kazmi said the statement of the Pakistani national, who faces the death penalty if convicted was not a confession but an admission of a guilt. “The first option is for the court to accept Kasab’s plea and convict him. The second option is for the court to not accept the confession and the third is for the court to accept the confession but direct for the trial to go on,” Nikam told reporters. Kasab added some additional statements but the judge prohibited the media from publishing those statements after observing that it could affect the communal harmony of the country. Nikam told the court that the prosecution has not finished producing all its evidence and could choose to produce all of it despite Kasab’s decision to plead guilty as his confession may not be enough evidence against him. Kasab also said that he wanted to send a message to some persons but when the court asked him if it was related to the confession, the gunman replied in the negative. The court then refused to take it on record in the confession. Nikam told reporters outside the court that he would be having a meeting with senior police officers after which they would decide on the reply to be filed on Wednesday. 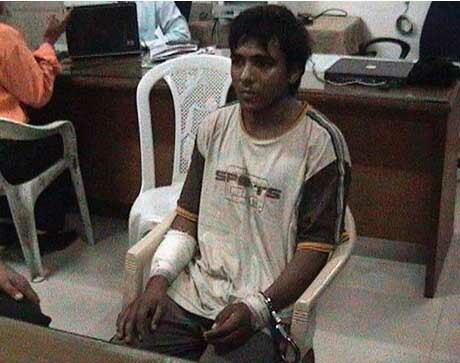 Kasab had surprised and shocked everyone yesterday by admitting his guilt and confessing before the court. Kasab had described his journey from Karachi in Pakistan to Mumbai, the attack in CST and Cama hospital and the police encounter at Girgaum Chowpatty in south Mumbai.